Live, Predatory, Beneficial insects are one of the safest, easiest, and exhaustive ways to clear unwanted pests and insects from your garden. Use these insects and bacteria to clear your garden without harming your plants using any caustic sprays or bombs. ways to control pests organically before resorting to the use of insecticides. 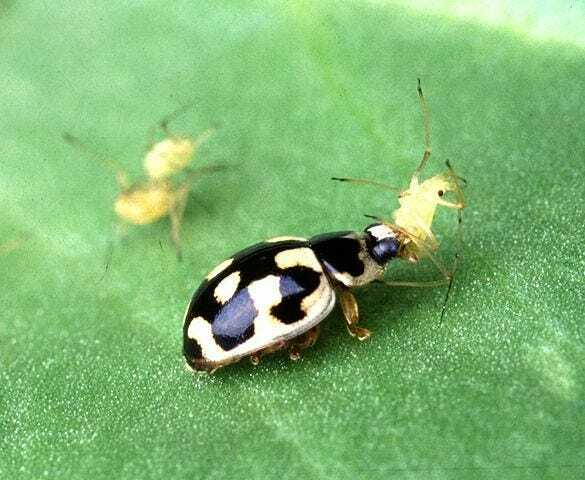 Beneficial predatory insects and bacteria of many types can be released to control specific pests and are an important component to any successful Integrated Pest Management (IPM) program. Selecting the proper beneficial predatory insect will depend on a number of factors including the type of target pest, temperature range, and relative humidity. Beneficials are most effective when used before the pest density becomes too great as it can take some time before actual results can be seen. Beneficial insects and bacteria come with release instructions and recommendations to maximize their effectiveness.